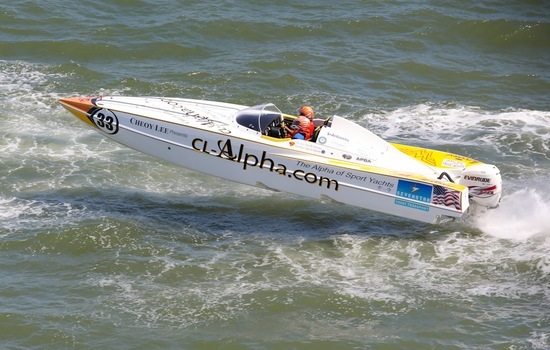 Paula and Gene Weeks race the #33-boat for Cheoy Lee Shipyards, where Gene is project manager for the world-class yacht builder. Married for five years and racing for two, Gene throttles while Paula takes the helm. 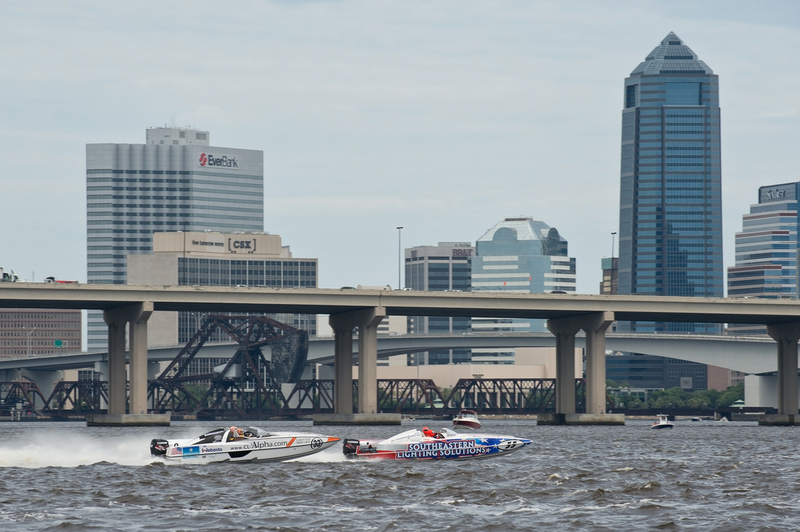 She is accustomed to the responsibility as a licensed over-the-road trucker, qualified to operate a vast array of heavy equipment, so handling a race boat is just another day in the drivers seat for Paula. 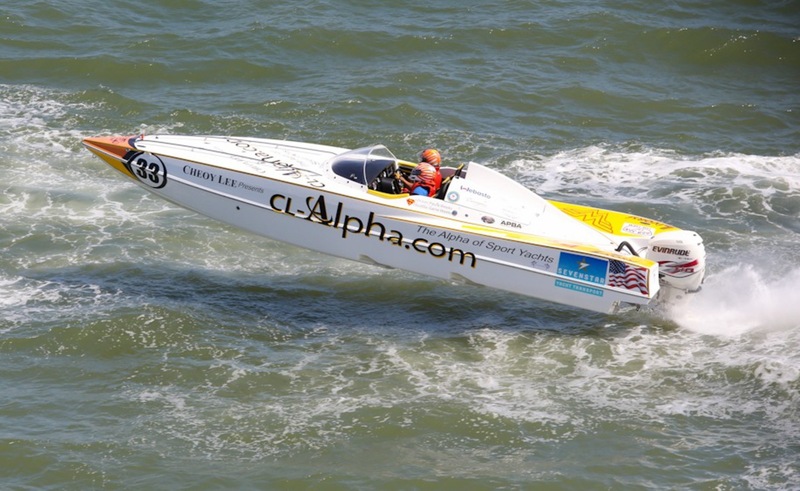 Leveraging Genes 30+ years of racing experience, Cheoy Lee entered P1 Superstock as a circuit sponsor to showcase its new Alpha series of yachts. Cheoy Lee saw racing as an ideal vehicle to gain visibility with the new generation of yacht owners who are entering the market earlier; while they need to accommodate more friends and family and add more accouterments and creature comforts, they do not want to sacrifice performance. The Cheoy Lee Alpha Series answers all those needs. Offering a sportier style of luxury remains true to the 144-year-old ship builders heritage of quality craftsmanship coupled with state-of-the-art engineering and components; the Alphas contemporary lines and lavish interiors bring elegance and performance to the high seas. 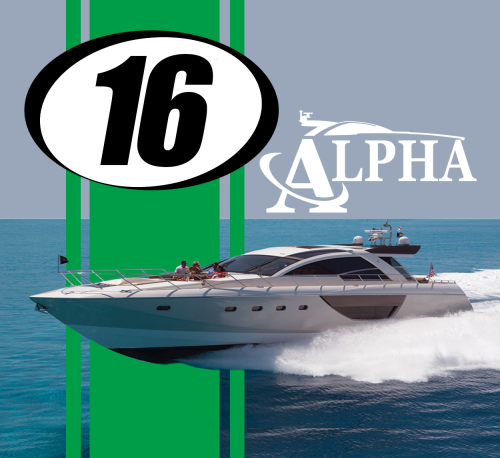 The Week's spent two-years in China managing the build of the first Alpha Express yachts, before Gene was transferred to the Fort Lauderdale, FL, U.S. headquarters where he now manages Cheoy Lee's Alpha Express Yacht line, sales and service.